Matt Roberts, who wrote Saturday's episode, "Best Laid Schemes...," breaks down that shocking and heart-wrenching ending for Claire and Jamie. Jamie's (Sam Heughan) betrayal of his promise to Claire (Caitriona Balfe) may have just cost him the ultimate price on Outlander. 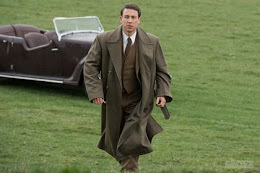 After agreeing to not kill Black Jack Randall (Tobias Menzies) for one year to allow him to father a child with Mary Hawkins (Rosie Day) -- to ensure Frank Randall's (also Menzies) existence in the future -- the episode ended with Jamie dueling and severely wounding Black Jack. 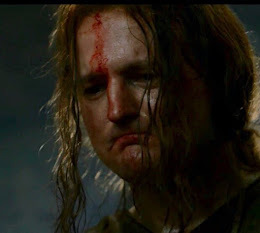 Although viewers did not get the full explanation as to why Jamie went back on his word so soon after promising Claire, the two men were found fighting each other in the woods with all the strength they had to kill the other. Claire arrived at the duel as soon as she heard about it from her maids, but could only watch in horror as one of her husbands was about to die (Jamie, at the hands of Black Jack or Frank if Black Jack was killed before having a child with Mary). The stress of losing one of the men she loves caused something to go horribly wrong with her pregnancy, and she began to bleed and collapsed in extreme pain while the police arrived to arrest Jamie and Black Jack for dueling. 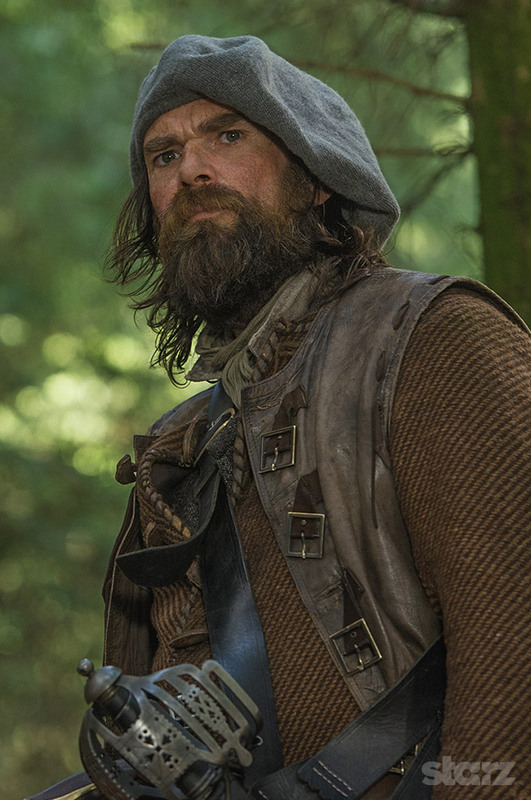 Elsewhere, Murtagh (Duncan Lacroix) finally learned the truth about Claire's history, Jamie made Claire promise that if something went wrong with him then she would go back through the stones to Frank and Jamie stabbed Black Jack in his groin during the duel, meaning that even if he survives the injury, he might not be able to have children. The Hollywood Reporter spoke with the writer behind Saturday's episode, Outlander producer Matt Roberts, about where this leaves Claire and Jamie, the incredible scene he wrote for the episode that had to be cut for time and more. The final scene was so tense and emotional. 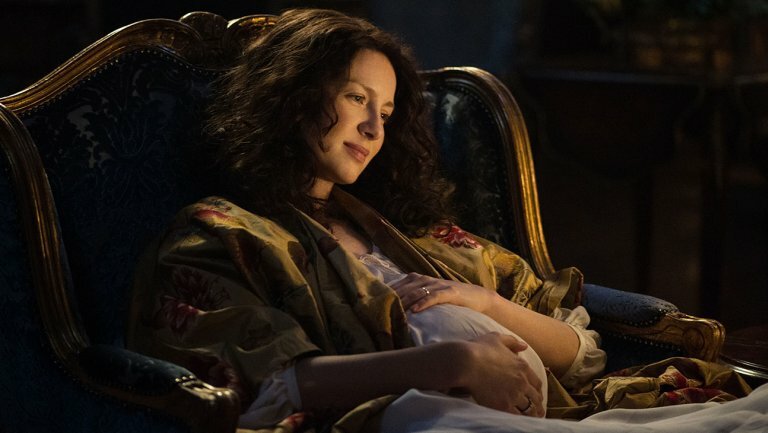 Obviously something is terribly wrong with Claire's baby, so where does the show pick up with her next week? The next episode starts with Claire in a fog, in a dream state. She'll go to the hospital and we'll discover what happened with her baby. 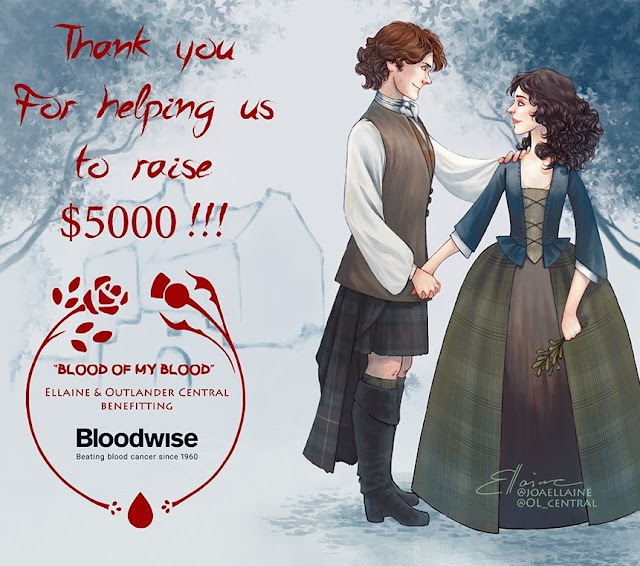 It's such an emotional journey for both Claire and the fans as well. There's a lot that will take things to a new place for the fans, even the ones who have read the books. We've been trying to do things just a little bit differently from the books in each episode even though the main, expected events still happen so there's an element of surprise for everyone. How did that goal change how you wrote this episode? Originally, episodes five and six were actually together. They were one episode. It was just so full and the way we let scenes breathe, even though the page count of the script was okay, shooting-wise we knew some of the emotional scenes would play out longer onscreen so we decided to split the episodes. So then I started the script for this episode with a dream that we didn't get to film. It bums me out still. Jamie was in a dream trying to deal with the ramifications of the promise he just made, and it was between him, Frank and Black Jack. The three of them were together and Claire steps in. Whoa, that scene sounds incredible. Viewers would have loved to see that. Yeah, and I placed it in modern day, so Jamie was in modern day. He was in a car with Claire driving and he was seated between Black Jack and Frank, and then you flash to the Battle of Culloden and Frank basically grabs Claire's hand and tells her it's time to come home. Jamie would then wake up from the dream distraught and put off. All the actors were really excited about playing it and we were really excited about filming it. But through production issues and things we had to do or came up, we couldn't do it. I had to re-adjust after that. We needed to find a way to get them to a place where they made up faster. The scene where Jamie comes to Claire and makes her promise to go back through the stones to Frank, that comes from the book and I think it's one of the most important scenes of the season because of what's coming way down the road. We've seen that Claire goes back in episode one, but how does she go back? Why did she decide to go back? That will all come up in episode 13. But Jamie is still in the same head space at the beginning of the episode had the dream sequence still been in it. Murtagh handled learning the truth about Claire in a very surprising way. He showed a lot of understanding and empathy for being what he called "a simple man." 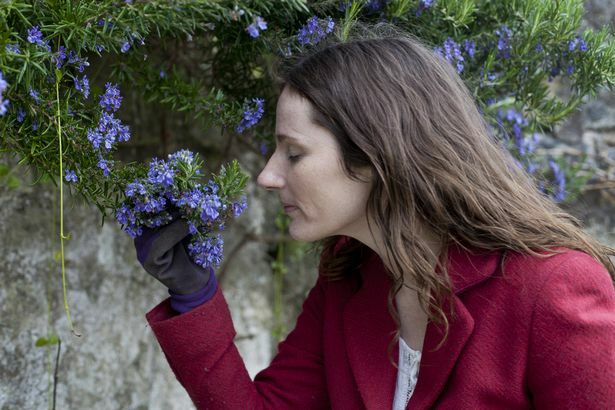 Walk through the importance of showing Murtagh's softer side in that scene. We kind of strayed away from the books in the Murtagh of it all. He's a bigger character in France, in their lives, and just more integral to the TV series than he is in the books. 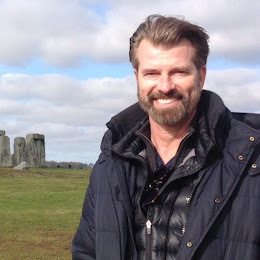 We went round and round in the writer's room and finally decided that Jamie and Claire had to tell him the truth, because lying to this guy just felt wrong. 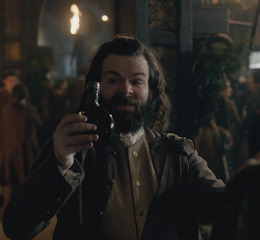 And I always found the elements of Murtagh and Claire's relationship so interesting, ever since they bonded on the road while searching for Jamie. He has, over the course of his relationship with both Jamie and Claire, he's come to love her just as much as he loves Jamie. He knew that he could finally open himself up to this woman after he saw just how much she loved Jamie and how much she was willing to do to get him back. He's let his guard down with her. So he'll punch Jamie for not telling him the truth, but he'll understand how Claire has this burden. He doesn't explicitly say, "I believe you," but for all intents and purposes, it explains a lot to him about what's been going on these past two years. Jamie promised Claire he wouldn't kill Black Jack for one year, but just a few days later he was dueling Black Jack. How is that betrayal of trust going to affect both him and Claire moving forward? Claire and Jamie hold their words and their vows above almost anything. The whole spanking scene from season one was based on Claire breaking a promise to Jamie. That's why he punished her: not because she did something he didn't like, but because she broke her promise. And he holds his promises so seriously too. So this is such a betrayal for Claire. In the next episode, she's unwilling to even deal with why he even did it. Ultimately, in the next episode, we do discover why he did it. 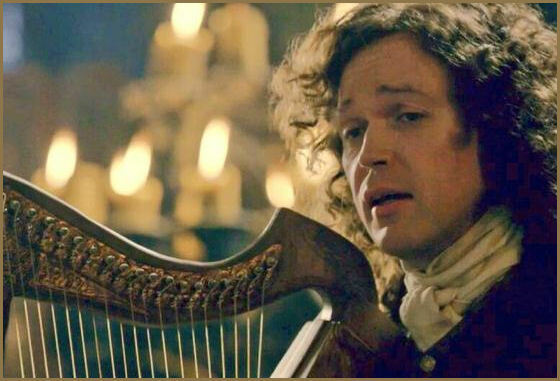 There was a little sprinkle of it in this episode where we hint at why, where Jamie goes to the brothel to take care of Prince Charles' debts, and he brought Fergus along with him. Fergus went into a room to ironically to steal some perfume for Claire, and the door shut behind him. That is the prelude to the reason why Jamie did what he did. You'll see that, in flashbacks, what actually happened. If you're paying attention, you'll get a pretty strong hint of what happened. It's so heart-wrenching. Black Jack suffered a serious injury that definitely calls into question his ability to have a child going forward. Is Frank's very existence in jeopardy now? At this stage of the season, you should definitely be wondering how Frank still exists. 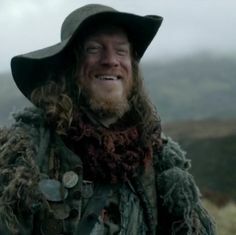 The thing I love about Outlander is we have two heroes, or three if you include Frank, and we know that somehow, they exist. We know they lived. So when we tell a story, it's almost always "how" and not "if." So our suspense lays in, "I wonder how that's going to happen." That's how we keep the audience and book readers coming back for more. We are changing things to keep things fresh but we're staying with the spine of the story. So we know Frank can't just disappear since Claire has already returned to him in the premiere. So how does this happen? Not if. That's the big difference in how we do things on Outlander. What was the most challenging scene to write from this week's episode? Well, I wouldn't say challenging so much as the scene I really wanted to get right was the scene where Jamie is in bed with Claire and the baby kicks and he gets to talk to the baby for the first time. I'm not a parent, so I could only imagine what that is really like. I talked to a bunch of parents and different people in my life to get a consensus to write that scene. I wanted to show the playfulness between Jamie and Claire that flows into a passion, because I knew what was coming so soon after. I knew they were going to be torn apart by this betrayal just a few scenes later. I wanted them to be as close as possible just before that, and so I wanted to show them as a family. It was challenging in the sense that I just really wanted to get that right. 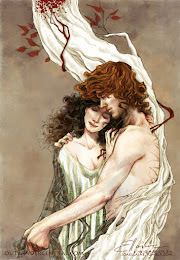 Jamie and Claire are bonded so tightly together that it takes a massive thing to pull them apart even a little.